Let’s face it, no one enjoys online ads. It’s no wonder why more people are turning to ad blockers to keep ads from encroaching unto their screens. 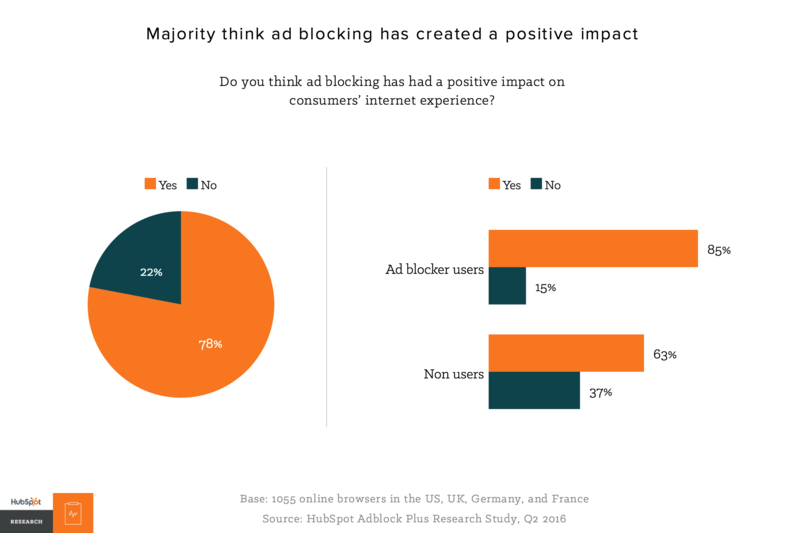 As ad blocking technology gains wider use, they're quickly becoming a growing problem for marketers that rely on them. 1) Ad blockers costs publishers nearly $22 Billion back in 2015. 2) Ad blocking, particularly mobile ad blocking, is growing at 90% every year. 3) 429 million people worldwide use ad blockers on their mobile devices. 4) Apart from being disruptive, people dislike ads because they raise security concerns when websites use third party ads, meaning that they cannot control the quality or safety for visitors. 5) When sites limit their content for those with adblockers, 28% of visitors would simply stop visiting the site altogether. 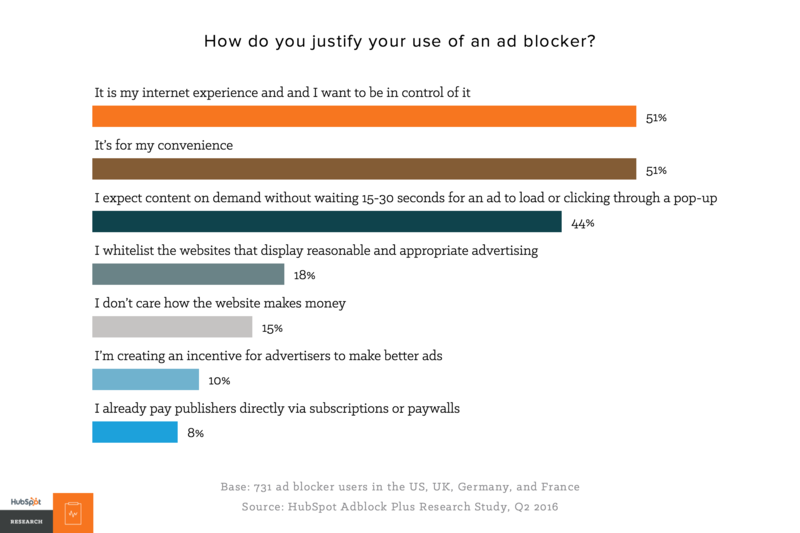 16% of visitors would disable their ad blocker in order to view the content. 7) 15% of users simply do not care how a website makes its revenue. 8) Most online browsers today do not see ad blocking as a problem and view it in a positive light (to the dismay of marketers). As the power shifts into the hands of the consumer, they're determening more of what they do and don't want to see when surfing the internet. With this in mind, marketers should stop creating online advertisements that disrupt viewers and focus more on an inbound approach that centers on the prospects needs and interests.